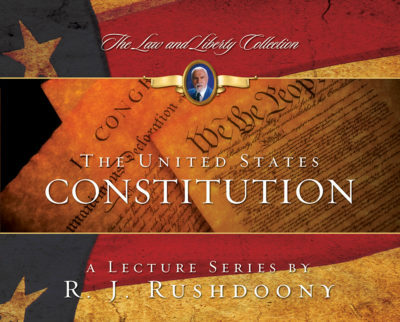 This four message series of lectures by R. J. Rushdoony on the United States Constitution is the definitive approach to a Biblical view of this important document. In these insightful messages Rushdoony addresses the issues of intent, change, and the people as it relates to a Constitutional Republic. If you've never heard R. J. Rushdoony, your life will be transformed as one of the great thinkers of modern Christianity applies God's Word to every facet of life and thought. Discover the nature and meaning of American history along with remarkable resources to help you engage the future.